Camouflage takes many forms, some in plain sight, some you've maybe never even spotted (by design.) In today's world of ever-encroaching surveillance, one can't be too careful around cameras, both overt and hidden. If you're trying to keep your face out of the electronic archives, one way to dodge the documentation is to use some good old-fashioned dazzle camouflage. 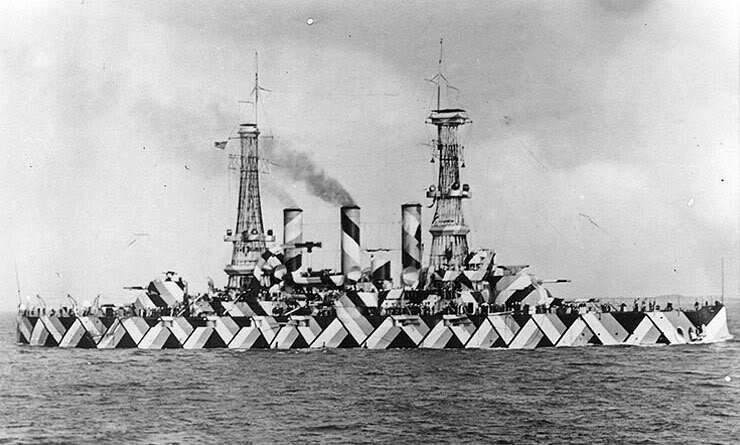 In WWI, battleships were painted like hipsters (shipsters?) to confuse enemies. 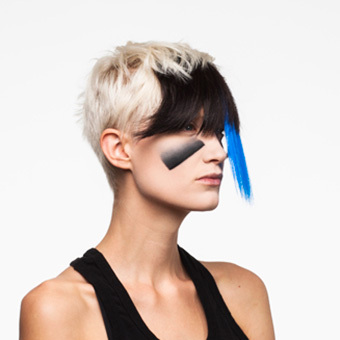 Based on the premise of actual military warpaint used on planes and boats, CV Dazzle is a new means to break lines of vision while simultaneously breaking your monotonous old look. According to the CV Dazzle website, "Since facial-recognition algorithms rely on the identification and spatial relationship of key facial features, like symmetry and tonal contours, one can block detection by creating an “anti-face." Avant-garde, Surrealist, and cubist designs all contribute to the various elements of CV Dazzle. The CV website offers styling templates and a host of look ideas to ponder, if you need to take your anti-surveillance look to the next level. Would a mask also work? Sure, but you might look cooler with blue bangs. Of course, if you're not inclined to wear facepaint or weird bangs, you can always just anonymize your face in photos with the Face Dazzler app. It'll take you right out the running for all the "tags" you don't need to be found in. Privacy never looked so pretty! 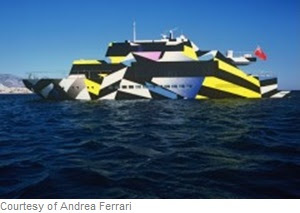 Dazzle camouflage still works in modern times, as shown by this Dazzle-inspired yacht painted by Jeff Koons. Yes, that is a real boat. Nice post. Thanks for sharing. Visit also this source to read spyera review. Dazzle is another way to break lines of vision while at the same time breaking your dreary old look. As indicated by the CV Dazzle site, Since facial-acknowledgment calculations depend on the distinguishing proof and spatial relationship vapor flavor wholesale of key facial highlights, similar to symmetry and tonal shapes, one can square identification by making an enemy of face.